"Don’t Look Back" - FilmStruck D.A. Pennebaker invented the rockumentary with this fly-on-the-wall film. 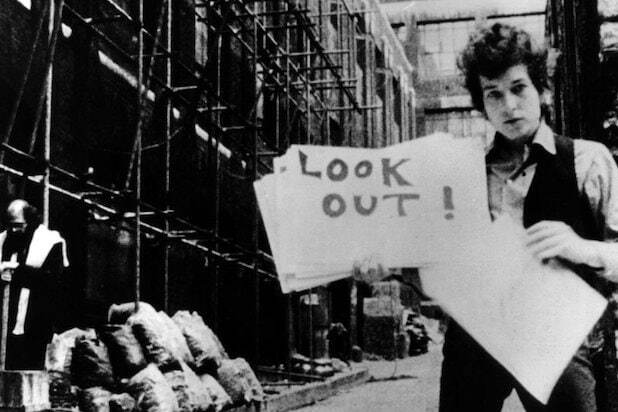 You know the iconic music video of Bob Dylan laconically dropping cue cards as the lyrics to his rollicking “Subterranean Homesick Blues” plays. But equally impressive was how Pennebaker, using a camera he built himself, captured Dylan at a point in his career when he would never be so candid in front of a camera again. He’s rude to the press, to backstage fans and to party guests like the singer Donovan, and he hardly looks like a voice of a generation in the making. But it’s that unflattering look that makes “Don’t Look Back” all the more fascinating. "Monterey Pop" - FilmStruck After “Don’t Look Back,” D.A. 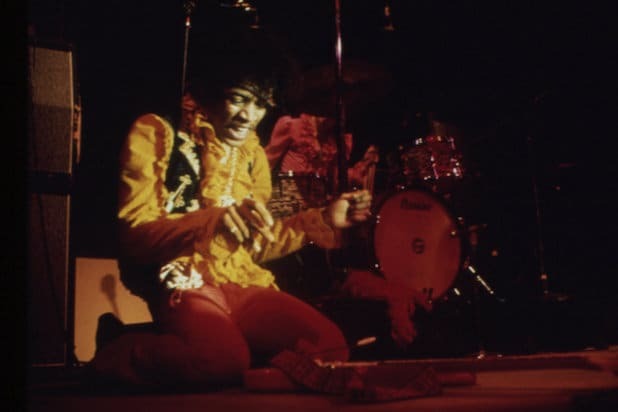 Pennebaker was given a much larger crew to chronicle the Monterey Pop music festival, featuring a stellar lineup including Janis Joplin, The Who, Otis Redding, and most famously, capturing Jimi Hendrix setting his guitar on fire. 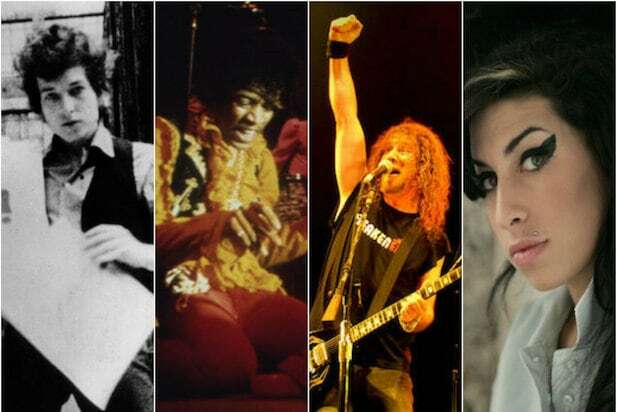 Along with “Woodstock,” “Monterey Pop” set the bar for concert films and was a striking snap shot of ‘60s counterculture before rock music was considered a true art form. Famously, according to NPR, ABC never aired “Monterey Pop” despite bankrolling Pennebaker’s project after witnessing Hendrix “fornicating” with his amp. "Gimme Shelter" - FilmStruck There are plenty of Rolling Stones rock docs worth exploring, but the first and finest is the Maysles Brothers “Gimme Shelter,” another fly-on-the-wall document of the band in their prime as they try to stage a massive free concert in California that attracted 300,000 fans. Modern Stones fans will be shocked how raw and ragged they sound on stage. In one powerful scene, the Maysles confront the band with violent footage from the crowd that leaves Mick Jagger stunned at the consequences of their stunts. "Stop Making Sense" - Amazon Prime Video While this is strictly a concert film, Jonathan Demme certainly tells a story along with David Byrne and the Talking Heads. The band’s legendary show involves Byrne performing solo with a guitar and a boombox before adding band members and instruments one by one, song by song. It’s a brilliant gambit that Demme stages with energy and humanity. "Anvil! The Story of Anvil" - Netflix, Realeyz The aptly titled “Anvil! The Story of Anvil” is like a real-life “Spinal Tap.” They even have a drummer named Robb Reiner. The film follows an aging, Canadian metal band that became influential in the ‘80s but never found commercial success, persistently touring in rinky dink clubs ever since. Sacha Gervasi’s documentary is a humorous look at their sort of comeback tour. "George Harrison: Living in the Material World" - Netflix Martin Scorsese’s tribute to the Quiet Beatle pushes nearly four hours, getting profound, emotional interviews out of Harrison’s wife Olivia and family as they reflect on his spirituality and the last years of his life. Scorsese makes the argument that George, even more than John Lennon or Paul McCartney, was the Beatle with the most depth and multitude. "Shut Up and Play the Hits" - Amazon Prime Video It’s a bit odd watching “Shut Up and Play the Hits” today, which was meant to serve as LCD Soundsystem’s goodbye tour in which they played a raucous, final show at Madison Square Garden. But even though they’ve reunited, the film still packs an emotional wallop at the sight of front man James Murphy sobbing in a fear that he truly did not know his future beyond this moment. "Amy" - Netflix Asif Kapadia’s documentary on the late Amy Winehouse is an often harrowing portrait of depression and celebrity, playing up Winehouse’s talent and charm in grainy home movies “before the world wanted a piece of her.” Her songs “Rehab” and “Back to Black” take on scary resonance when we get to hear Winehouse’s raw vocal tracks, and the film feels hypnotic by foregoing any on-camera interviews and only utilizing archive footage of the young star. "20 Feet From Stardom" - Netflix The Oscar-winning “20 Feet From Stardom” has a lot of rock stars in it, but none as its subjects. Morgan Neville’s film is insightful because it does more than give a few people a platform to shine; it delves into the complicated nuances of being both a backup singer, not to mention an underappreciated woman in a male-dominated music industry. "The Beatles: Eight Days a Week – The Touring Years" - Hulu You’d be hard pressed to find better sounding, more pristine concert footage of The Beatles anywhere. Ron Howard’s film focuses on the Fab Four’s whirlwind touring years before hanging it all up in the mid ‘60s.